Nothing of particular note before this week’s screening log that I won’t get into below, which has basically been my first taste at Terrence Davies and has been truly delightful. Amusing interlude: before my screening of The Raid: Redemption today, I noticed a man talking on the phone who had just come out of the film. “It was the worst film I’ve ever seen,” he exclaimed to his wife. “It wasn’t in English!” He gave no other comment on why he hated the film. So that’s still a thing. -Colonel Redl, 1985. Directed by Istvan Szabo. Screening via DVD. -Of Time and the City, 2009. Directed by Terrence Davies. 35mm Screening at Brooklyn Academy of Music. -Distant Voices, Still Lives, 1988. Directed by Terrence Davies. 35mm Screening at Brooklyn Academy of Music. -The House of Mirth, 2000. Directed by Terrence Davies. 35mm Screening at Brooklyn Academy of Music. Where to start with a filmmaker? At the beginning? At his most recent work? Or perhaps with his most personal of his films? Terrence Davies’s work, of which I’ve now seen three (and will be seeing the other three over the next week), follows a man who is in not in love with his city, but in love with the idea it represented. 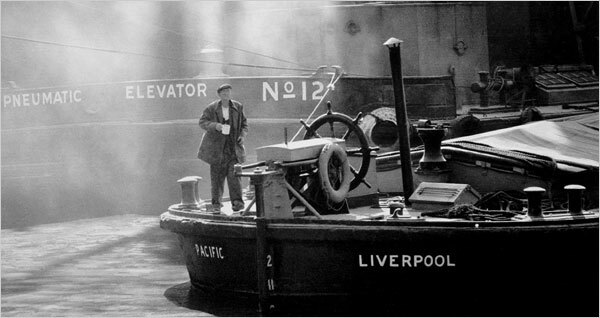 In Of Time and the City, it is Liverpool that is the main character, and one could argue the only character. I’m not sure what to classify Of Time and the City as in terms of genre or form. One could call it a documentary, as it is giving us a history of the city, but the perspective feels too personal to subscribe it to traditional documentary standards. And by using an evocative and poetic voiceover, as well as a classical score, it sort of fits itself much more into the avant-garde filmmaking scene. The only film I could think of that parallels it would be Guy Maddin’s My Winnipeg, another film about a director trying to recapture the magic of his childhood city through cinema. 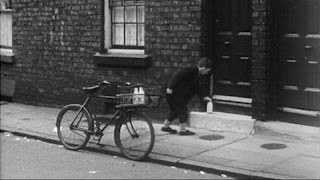 But while Maddin trends toward the absurd, Davies goes for the poetic and mystical qualities. His version of Liverpool does have truth in it (not to shaft Maddin; his Winnipeg is a magical land in a very different way), but what drives Davies seems to be pain for a world that is now gone. Davies captures Liverpool through an array of footage taken by other over the decades (this is one of the rare films where the credits area must-see, to learn about where Davies found all the footage). The view of lined brick houses, women washing clothes in large tubs, and men heading off to factories are not the pristine images of a perfect childhood, but of one full of dignity at least, and one that Davies can at least claim hold to. 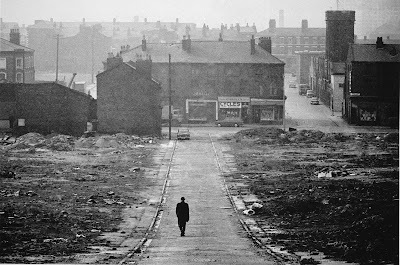 The film takes a turn for the melancholy as we see the changes in British architecture, and thus British poverty, during the 60s and 70s. The photos and film of destroyed homes, soon replaced by towering apartment complexes, is both potent and devastating as Davies’s heavy sour voice fills the air. Davies approaches this all through both the personal and the macro. He’s a character in the film certainly—he speaks of memories of his first movies and watching horse races—though he never appears in the film. But there’s so much of him in this film—his humor, his use of famous English poets, and his view of people—which makes Of Time and the City perhaps the perfect primer to begin to examine his narrative work, especially given the autobiographical nature of his early work like Distant Voices and The Long Day Closes. It captures the magic of this filmmaker and why he is so exalted by critics, as he finds magic in a world that he can never return to.